Tea tree oil is an ingredient that can be found in many topical products sold in pet shops nowadays. While there is a growing popularity in using “all natural” remedies, we must also be aware of the risks involved. Many natural ingredients and plants can be toxic to both humans and animals when ingested. While Tea Tree Oil may indeed have some antibacterial and antifungal properties, it is also poisonous when ingested in high concentrations. The poisonous compounds that tea tree oils contains are called turpenes. Due to the grooming and licking behavior of pets, there is a high chance of poisoning when tea tree oil is applied to the skin and fur of animals. Concentrated Tea Tree Oil that is self diluted is especially dangerous as the dilution may not be correct. Tea Tree Oil poisoning can occur from skin exposure, oral ingestion or a combination of the two. If you suspect poisoning in your pet, please seek veterinary attention immediately. There is no direct antidote for turpene and only supportive treatment can be given. Turpene is also toxic to the liver and liver supplements are needed for at least 2weeks post exposure. 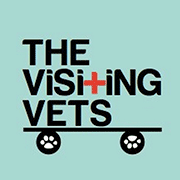 If there are any further questions or concerns, please contact the Visiting Vets!